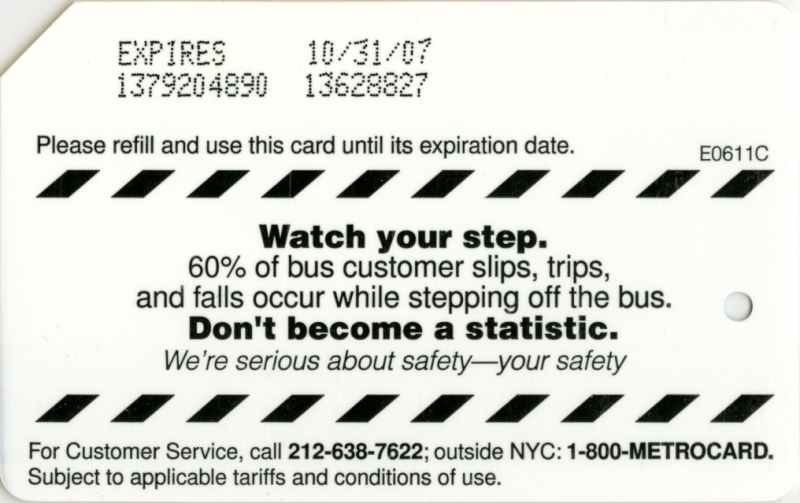 Think safety 1st series started in 2003 and features safety messages and slogans. 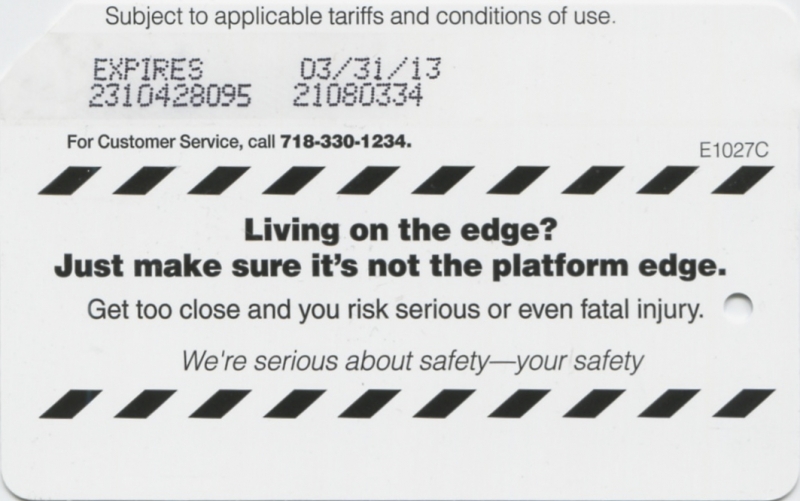 All cards are black and white with top and bottom warning lines. 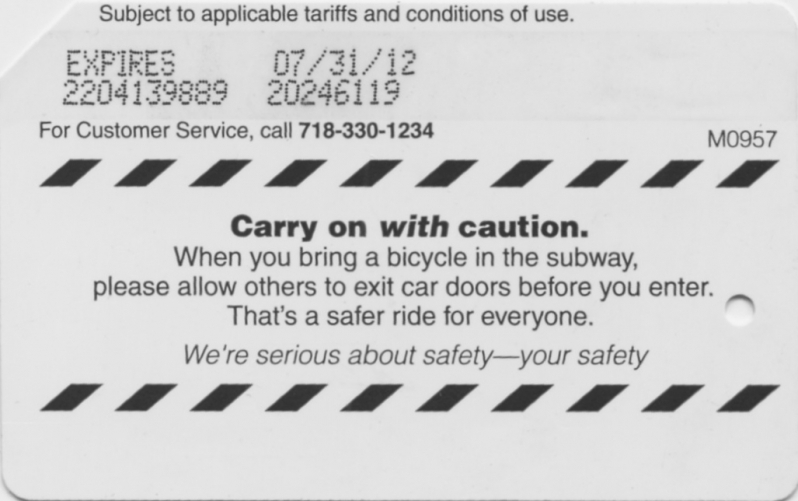 There are sometimes relevant leaflets issued. 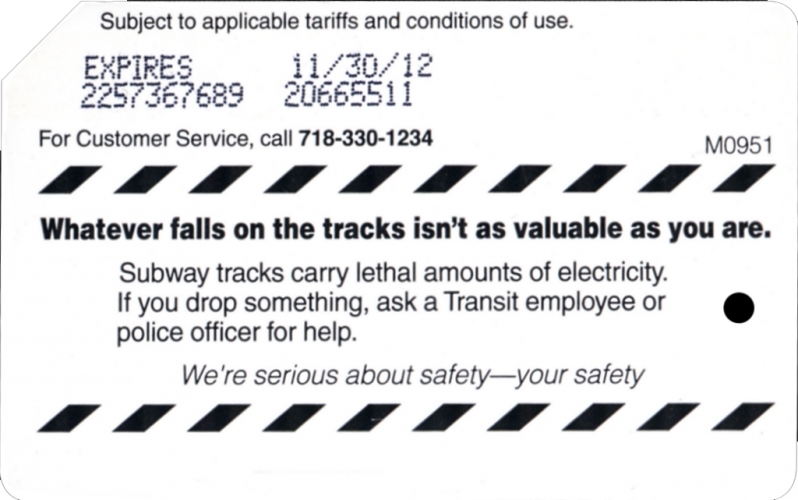 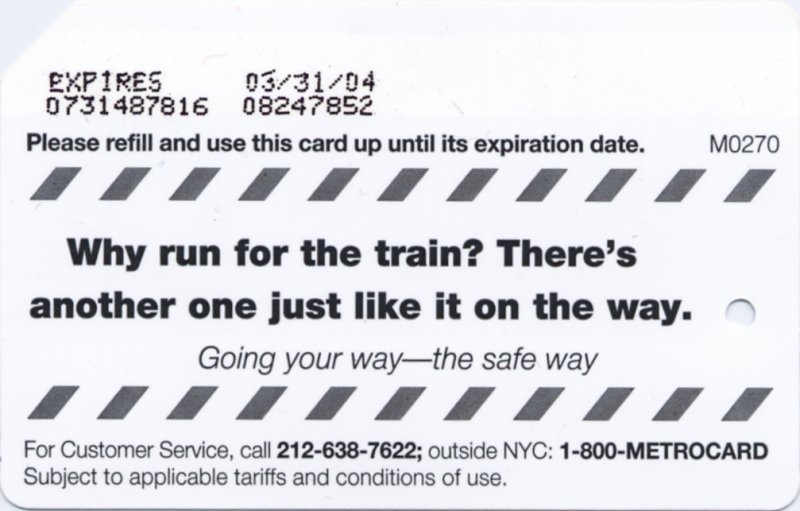 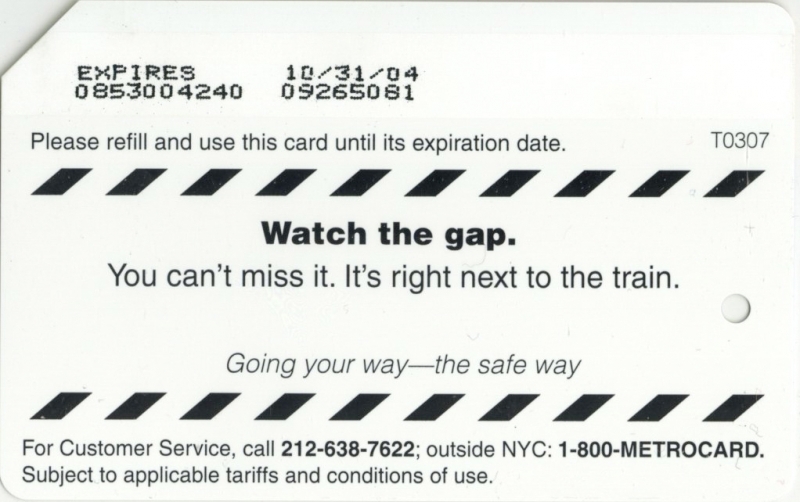 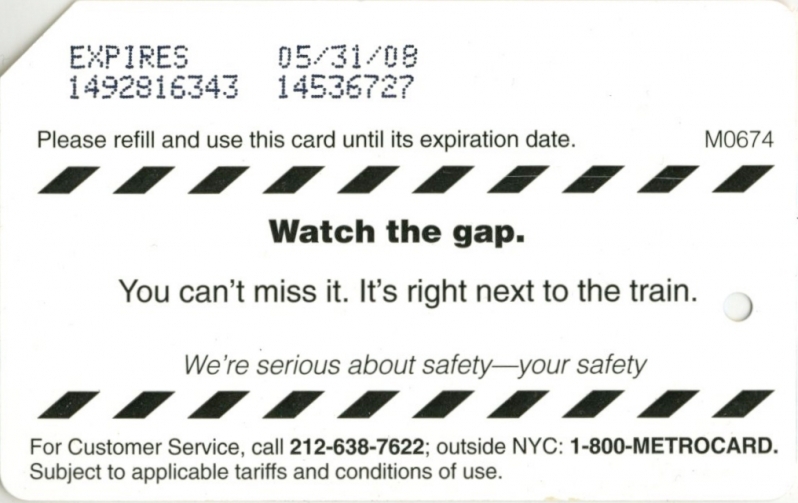 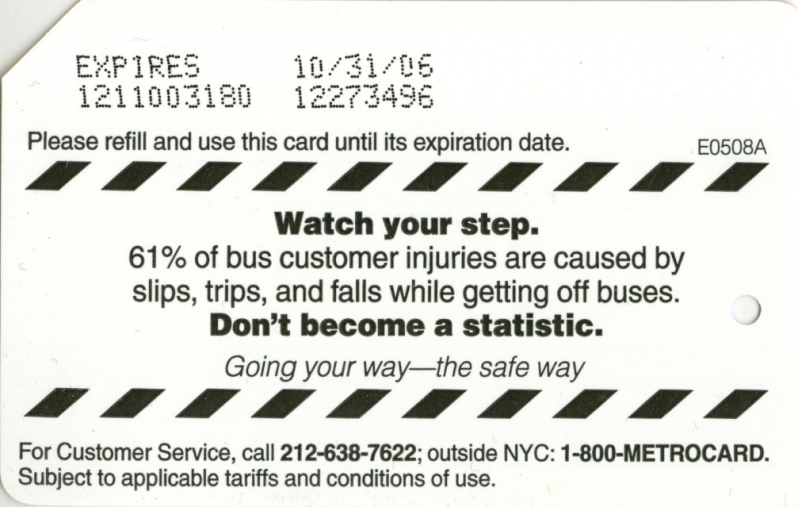 Since cards could expired there are the same metrocards with different expiration dates. 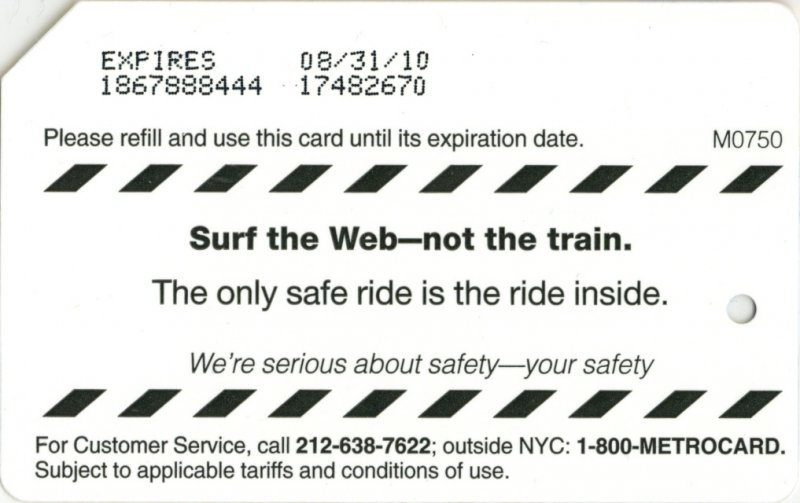 Also there are many variations with different fonts specifically.